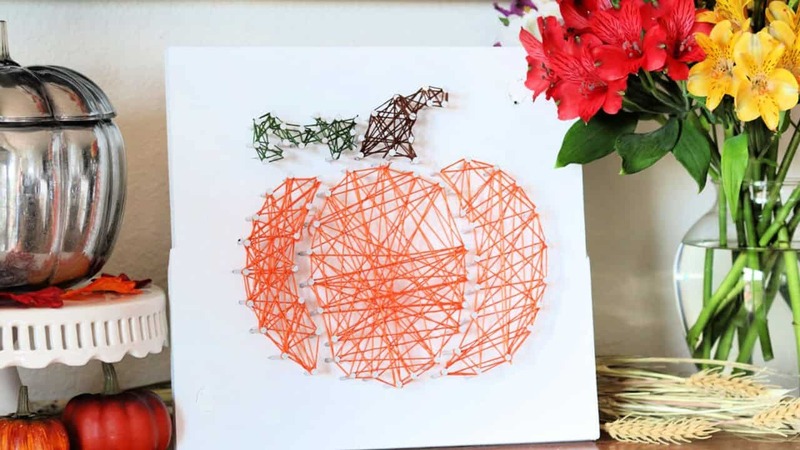 This pumpkin string art is easy to make and adds a pretty pop of color to your fall decor. Be sure to watch how I made this string art then check out my tips below for making one of your own. I’ve shared string art projects with you before, I like to think of these as wood signs taken up a notch. 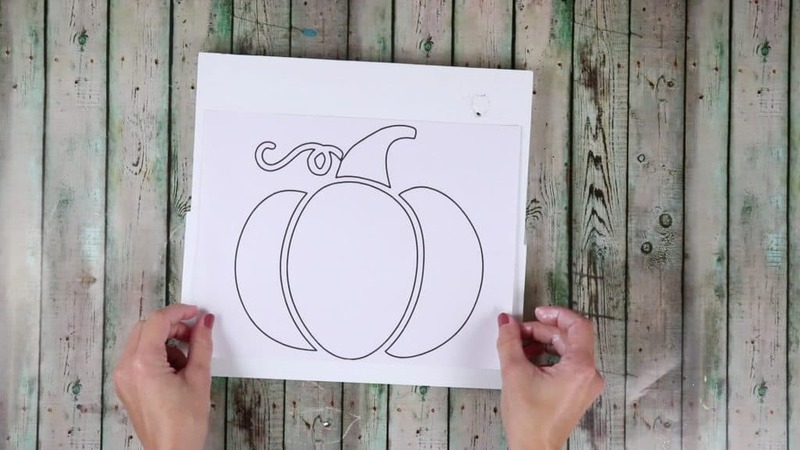 You can find all my tips for building and stenciling a wood sign here, but adding some colorful string art adds texture color and depth to your sign. Start by sanding and painting a wood board. 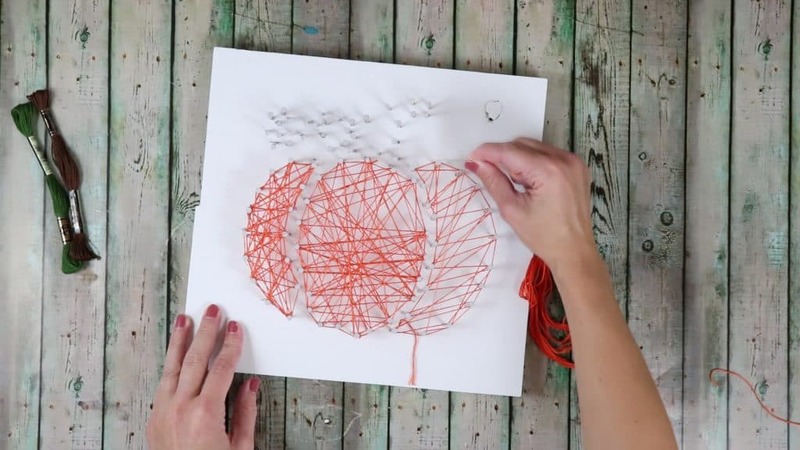 Next you need a template for your string art. I printed a pumpkin I liked and sized it to fit my board, you could also sketch a design onto a piece of paper or use words. Use washi tape to secure the paper template to the board. Now it’s time to add the nails. Hammer nails into the board, through the paper, over the lines of the template. Keep your nails evenly spaced and roughly the same depth. When you have all the nails in the board, tear the paper away, and start adding floss. I used orange green and brown for this pumpkin string art. Tie an end of the floss to one nail and wrap it around the edges. 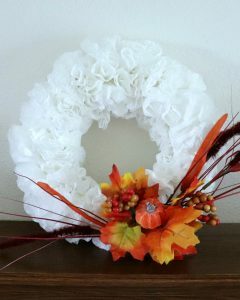 I like to make an outline first then go back and crisscross the floss to fill in each section. 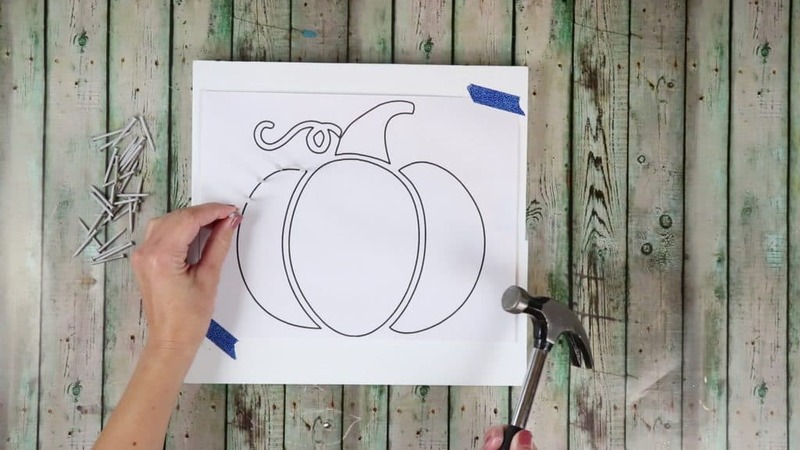 When the pumpkin is filled to your liking, tie off the floss and move on to the next color. String art adds color and depth to a wood sign, I love how this pumpkin string art looks with my fall decor. You could take this piece one step further and add stenciled words or a more elaborate background. 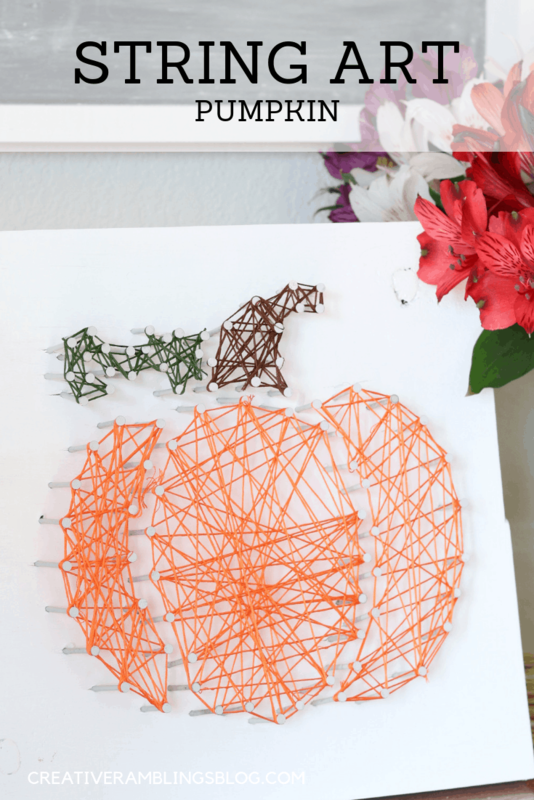 If you like this pumpkin string art be sure to pin it! 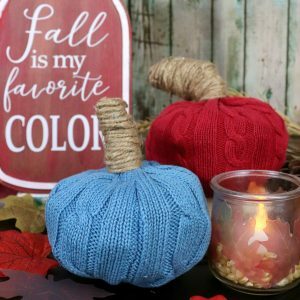 You may also like these fall projects.